New Delhi [India], April 1 (ANI): Hardik Patel has moved the Supreme Court seeking suspension of his conviction in the case in which he was found guilty of rioting and arson during the Patidar quota stir in 2015. Patel had moved the apex court challenging the order of the Gujarat High Court which had in August 2018 suspended his jail sentence but not the conviction. On Friday, the high court had declined to cancel his conviction, as a result of which he had to move the apex court seeking a direction to suspend his conviction. As per rules and the Representation of the People (RP) Act, a political candidate, who was convicted and facing a prison term of two years or more cannot contest the elections, unless the same is stayed by a court. 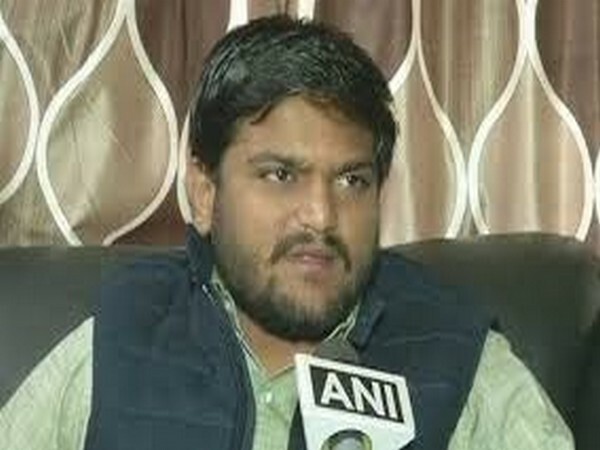 The 26-year-old, in his petition, claimed that he is a leader of the Patidar Andolan and started his agitation in 2015, and due to this, the ruling party of the state of Gujarat registered an FIR against him. "This registration of FIR and the action of the state government were mala fide and were with a view to suppress the voice of the masses," Patel claimed in his petition. He further stated in his petition that in the present case, it was argued at length before the Gujarat High Court that there is no legal evidence against for conviction and the same is based on hearsay evidence. Patel, in his petition, stated that the apex court should urgently hear his petition because the last date and filing of the nomination papers for Lok Sabha elections 2019, is April 04.